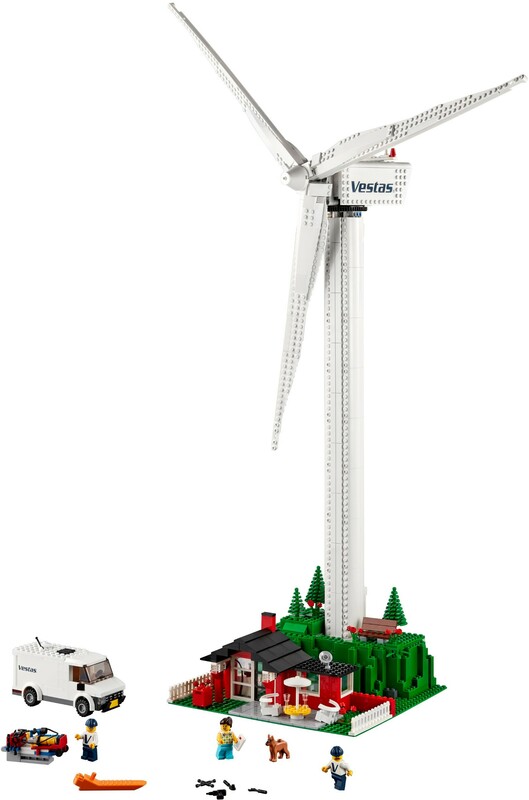 Celebrate green energy innovation with the LEGO® Creator Expert 10268 Vestas Wind Turbine. 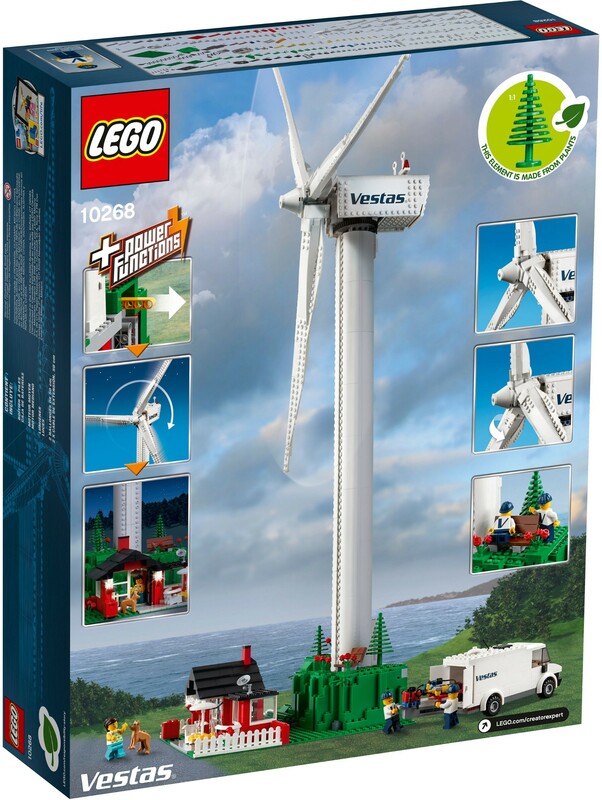 Developed in partnership with Vestas, this detailed, motorized LEGO model captures the elegance and graceful movement of a traditional wind turbine and features a new-for-January 2019 spruce tree, manufactured from sustainably sourced plant-based plastic. At approximately 39” (1m) high, the structure towers above a wooded hill and a house with furnished patio, mailbox, flowers and a white picket fence. Turn the nacelle left or right and switch on the included Power Functions motor to rotate the adjustable wind turbine blades and illuminate the cottage’s porch light. This collectible model has been designed to provide a challenging and rewarding building experience with a touch of nostalgia and makes a great display piece for the home or office. 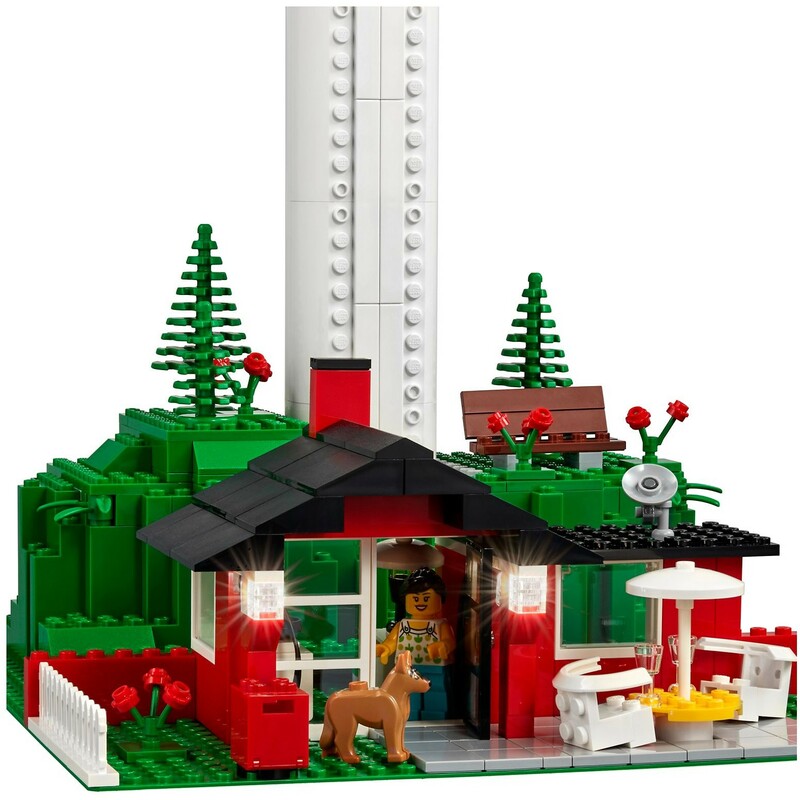 This big LEGO set also includes a Vestas service vehicle and 3 minifigures: 2 Vestas service technicians kitted out with safety helmets and a woman, plus a dog figure. 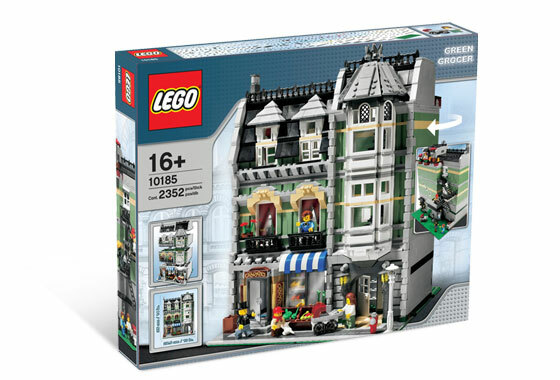 Includes 3 minifigures: a woman and 2 Vestas service technicians with v-printed torsos, plus a dog figure. 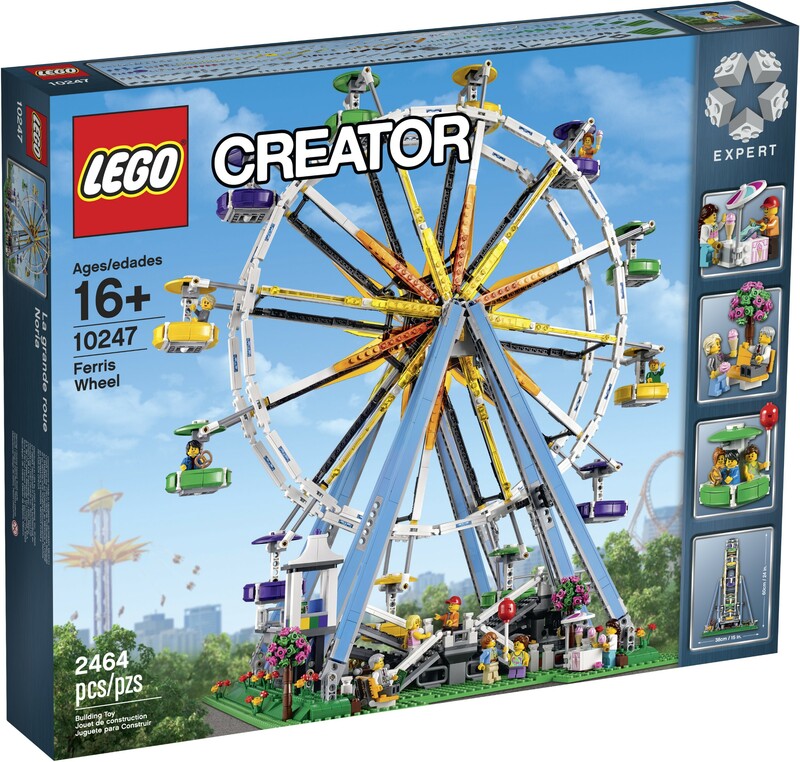 Includes a LEGO® Power Functions medium motor, battery box and 2 new-for-January-2018 19.6” (50cm) extension wires. 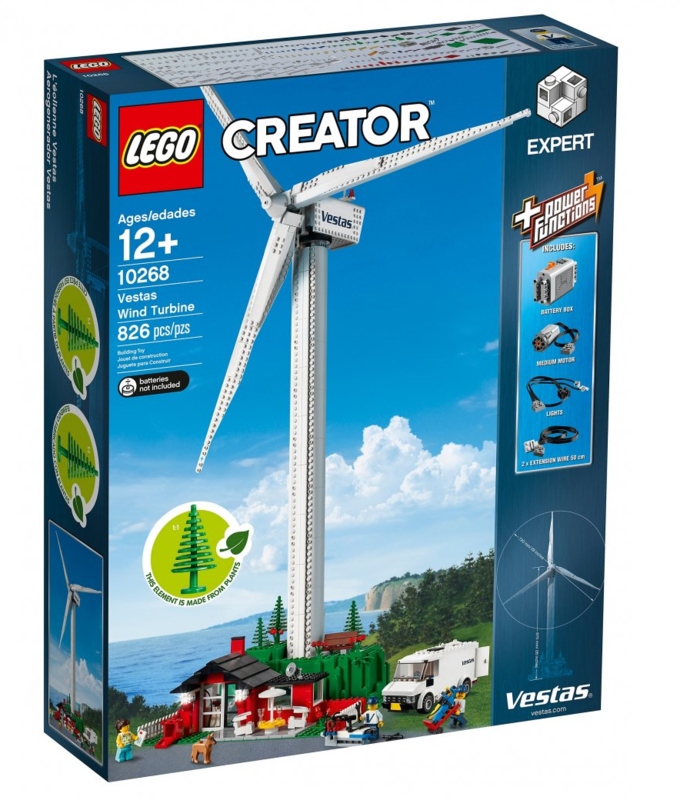 This LEGO® Creator Expert Vestas Wind Turbine set also features adjustable wind turbine blades, detailed tower, movable nacelle with aircraft warning lights, Vestas service vehicle, trees, greenery and a house with garden, flowers, picket fence and a patio with 2 chairs, table and a parasol. Turn the nacelle left or right and switch on the included Power Functions motor to activate the adjustable wind turbine blades and working porch light. Celebrate renewable energy technology with this buildable science toy. Open the service vehicle doors and slide out the retractable tool compartment. 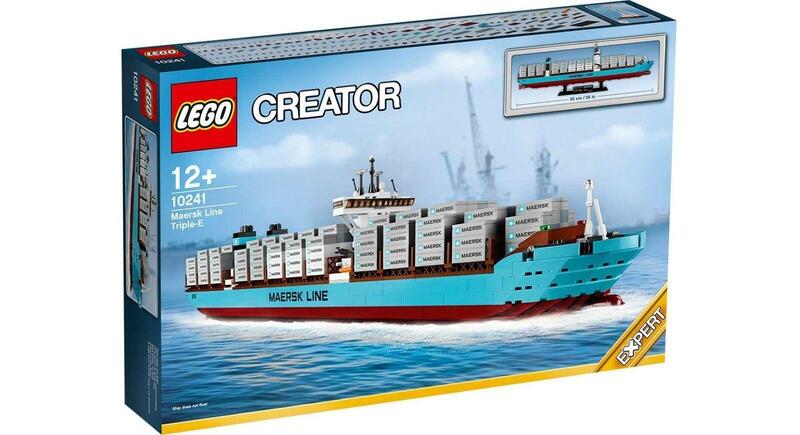 Includes a new-for-January-2019 spruce tree; manufactured from sustainably sourced plant-based plastic. Accessory elements include 2 safety helmets, tools and 2 envelopes. 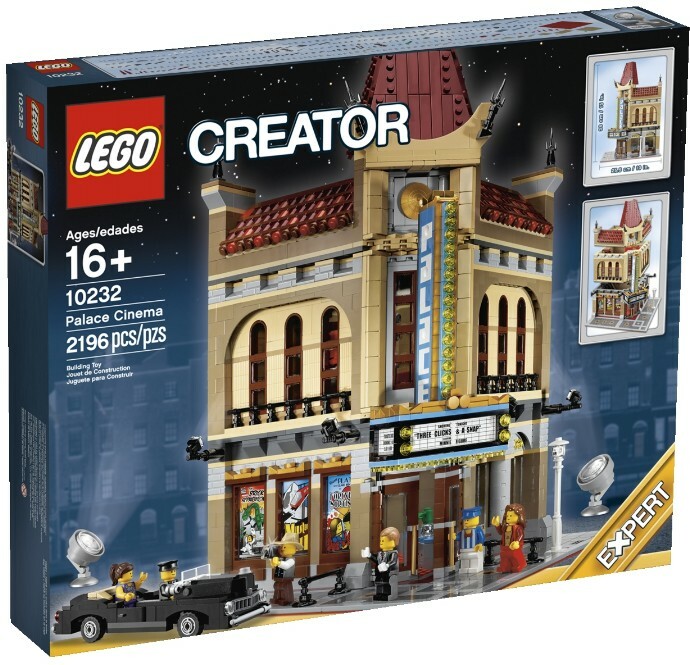 This set includes over 800 pieces and is suitable for ages 12+. Measures approximately 39” (100 cm) high, 24” (62cm) wide and 12” (31cm) deep.